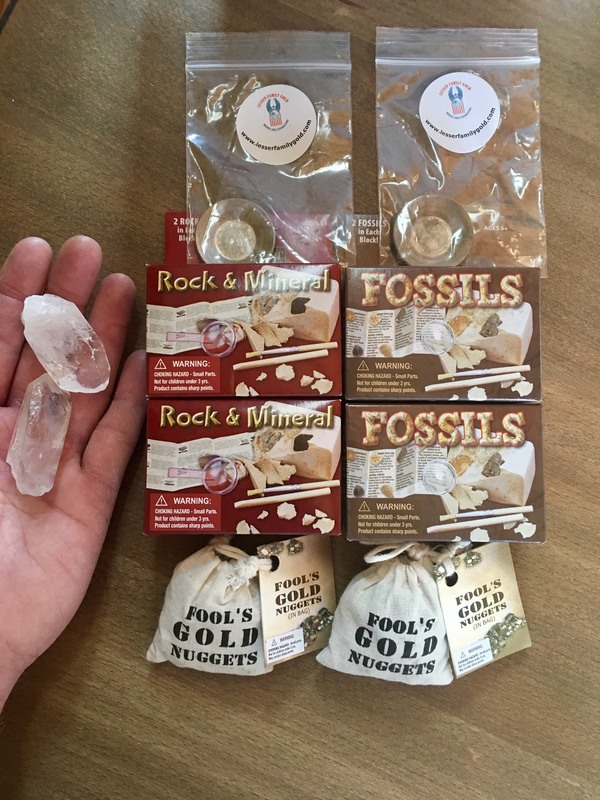 (1) Rock Hunter Tool Kit That Comes With (14) Stone Specimens, A Rock Specimen Collection Sack, Full Set Of Gathering And Identification Tools And A Clear Display Box To Store Your Rock Specimens. 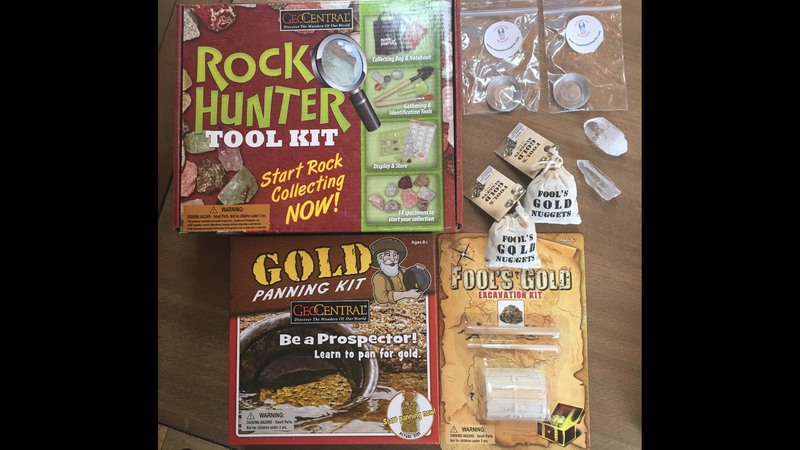 (1) Learn How To Pan Gold Like A Real Prospector Kit That Comes With A 7″ Gold Mining Pan, A Bag Of Paydirt With Pyrite, A Magnifying Glass For Identifying Your Pyrite, A Piper, Tweezers, Storage Flask And An Official Step By Step Gold Panning Guide. (1) Fools Gold Excavation Kit Which Includes A Pyrite Filled Treasure Excavation Box, Chisel For Digging And A Brush. (2) Authentic Pyrite Fools Gold Treasure Sack. (2) Beautiful Quartz Point Crystals.